What is involved in putting together a new dental website? There are a number of steps to take in putting together a quality dental website. Whether you are starting from scratch or you are upgrading your current website, you will want to follow these steps. This blog is a two-part series. 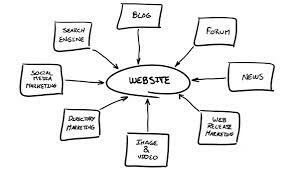 Week one, I will address the preliminary components of planning a website. Week II, I will discuss the actual components of the website you need to consider. Appearance: Design is critical, not only from the stand point it is going to attract and keep someone on your site but that your website is up to date. This conveys, that so are other facets of your practice – waiting room, equipment and treatment methods… Caution - don’t over sell your website design; if you have a dated dingy office, they will probably feel duped. Also a modern site should be open and easy to digest; using lots of pictures and interactive modules, which will keep potential patients on your site for a longer period of time. Content: Here is the hard part. To do it correctly, your content needs to be original. Original content is more likely to be read and convey the personality of the practice. It is also highly rewarded by the search engines. Note: most web companies who tell you they can put your site up in a week to 10 days will most likely use duplicated content, that they use on multiple websites they build. Too much duplicated content will be penalized by the search engines. Coding: A well coded website will enable you to make the website perform the way you want it to, in order to be unique. But also make it easy for the patient to easily find what they are looking for. It also helps the search engines index what your website is about, so you can rank for the proper keywords. On page optimization: A quality website will use the words that you want people who search online for a dentist, to find you for. For instance, if you are known for Invisalign and you are a primary provider you may want to use keyword terms and phrases with the Invisalign word in them. Each page of your site is best optimized when it focuses on one keyword or keyword cluster – remember the keywords need to be used strategically, not overdone and in a context that sounds natural. You also need to use internal links to help potential patients easily find the information they came for. When interviewing a possible developer, you better make sure they address each of the areas above in depth. 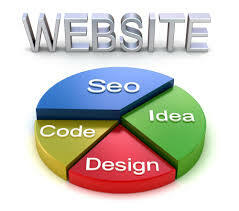 Without expertise in all four areas, you will have a subpar website that will not perform well in the search engines. (2) Your next step is to interview potential dental website developers to help you find one that can do the job well. Another note of caution here, unless you have extensive experience in development, I advise you don’t try to develop a website yourself or have your office manager or your brother-in-law do it for you. They will probably use a cookie-cutter program offered by GoDaddy, Wix or one of the many other DIY programs available. They are limited, are hard to optimize - rarely show up in searches and hard to format – and they often look unprofessional when complete. Most developers I see are usually quality designers, but do the bare minimum in the rest of the areas. Rarely do you find a company that addresses all four areas well. To do so they need a number of employees specialized in each segment. (3) Budget/Size/Time: Before you budget for a new dental website, you will want to consider a few things. Have a price range in mind before you start the interview process. If they are under or over that range proceed with caution. A quality website should be around $4,000 to $7,500. A deluxe website will be around $9,000. As one practice told me, “If you want a Cadillac – you are going to have to pay for a Cadillac”. Most developers will want you to pay half upfront and the other ½ of the payment at launch. Remember to save some of your budget back for promoting you website. A well optimized website will attract some new patients but fresh content (blogs, social media, and ongoing search engine optimization) will attract the lions share. Also, have an outline of the pages you want and how many there are. 10 to 15 pages should be plenty to provide a patient with all the information they need to make an informed decision. Be prepared to spend some time developing a quality dental website, it should take 6 to 8 weeks for the developer. Any holdup will usually be because the practice hasn’t provided content, so get started now.